The EU is giving €50 million to set up a joint African military force in the Sahel region to fight jihadists, the bloc’s foreign affairs chief said yesterday (5 June). The funds will help pay for the troops to fight terrorism, cross-border crime and illegal immigration, European Union diplomatic chief Federica Mogherini said in the Mali capital Bamako. 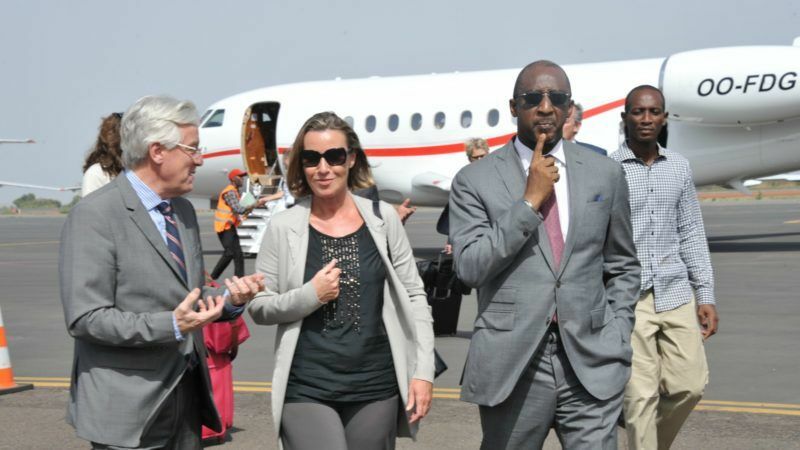 “Stability and development of the Sahel region are crucial not only for Africa but also for Europe,” said Mogherini. Mali, Mauritania, Niger, Chad and Burkina Faso – dubbed the Sahel G5 – in March approved plans to build the force of 5,000 troops made up of soldiers, police forces and civilians. But on Monday Mali’s foreign minister announced leaders of the five nations had decided this number would be doubled. “The heads of state of the Sahel G5 who met in Riyadh just a few weeks ago decided to bring the number from 5,000 men to 10,000 men. This really shows their engagement because this is a vast area,” Abdoulaye Diop said. Mali’s north came under attack in 2012 from jihadist groups, linked to Al-Qaeda, who hijacked an ethnic Tuareg-led rebel uprising. Though the Islamists were largely ousted by a French-led military operation in January 2013, jihadist groups continue to mount attacks on civilians and security forces in the arid remote north. Since 2015, the attacks have spread to the centre and south of the country, often spilling over into neighbouring countries including Niger and Burkina Faso. The initial decision to create the G5 Sahel force, in the semi-arid region south of the Sahara, was made in November 2015, during a summit in N’Djamena.